To live a healthy life is a common resolution for the new year. But what does living the healthy life mean to you? 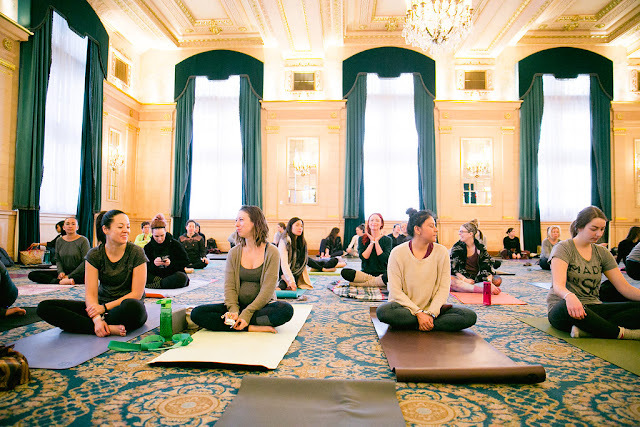 For us at Prairie Yogi it means a daily dose of movement (on the mat, in the pool, or on the pavement) and giving our bodies the fuel it needs to support that activity. And of course, when possible, we like to provide nourishment for our bodies with real, healthy food and supplements. Thankfully there is a Canadian company, Prairie Naturals, who wants to make having a healthy lifestyle a little easier. Their range of products can be used by vegans, vegetarians, gluten intolerant, and people with digestive issues. This family owned business avoids putting preservatives or anything artificial into their products. All their products use non-GMO ingredients, and have no additives, sugars, starches, or anything else that can block absorption. Everyone can find a product to suit their needs/dietary restriction to incorporate into their healthy lifestyle. "Live the Healthy Life" is an empowering reminder to us all that our choices matter. We have the power to decide to live in a way that embraces our health and wellness. It also reminds us that living a truly healthy life includes living a more earth-friendly, ecologically sound life. 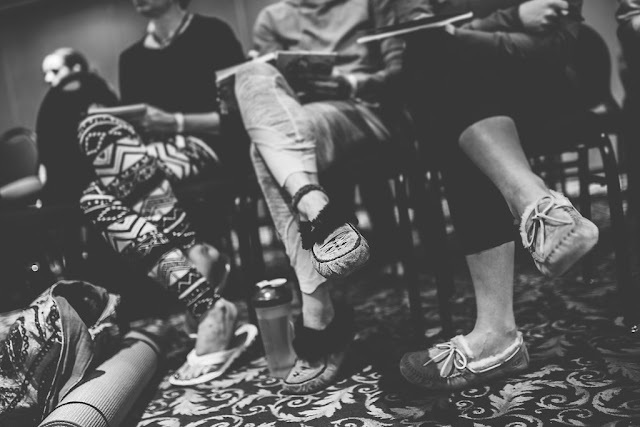 And it makes us mindful of our responsibility to support and enhance the well-being of others; not only our immediate friends and family, but people all around the world." -Robert Pierce, Prairie Naturals President. 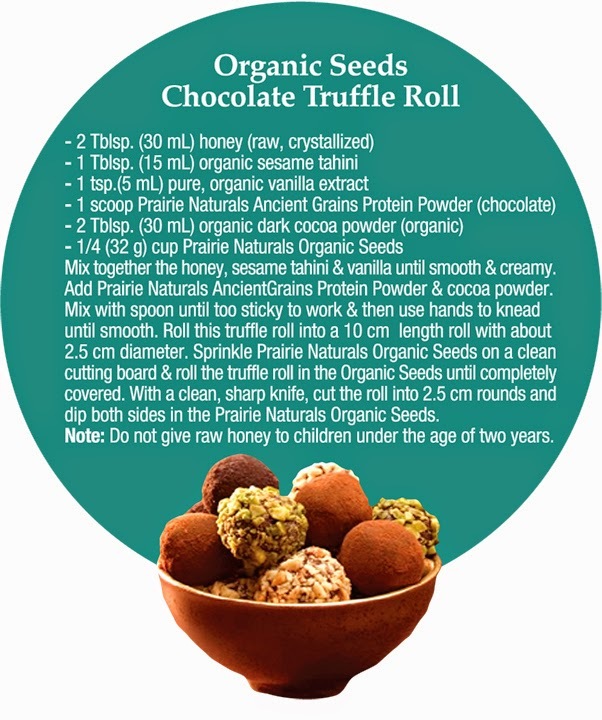 These Organic Seeds Chocolate Truffle Rolls are tasty, easy to make, and perfect fuel for the yogi on-the-go. 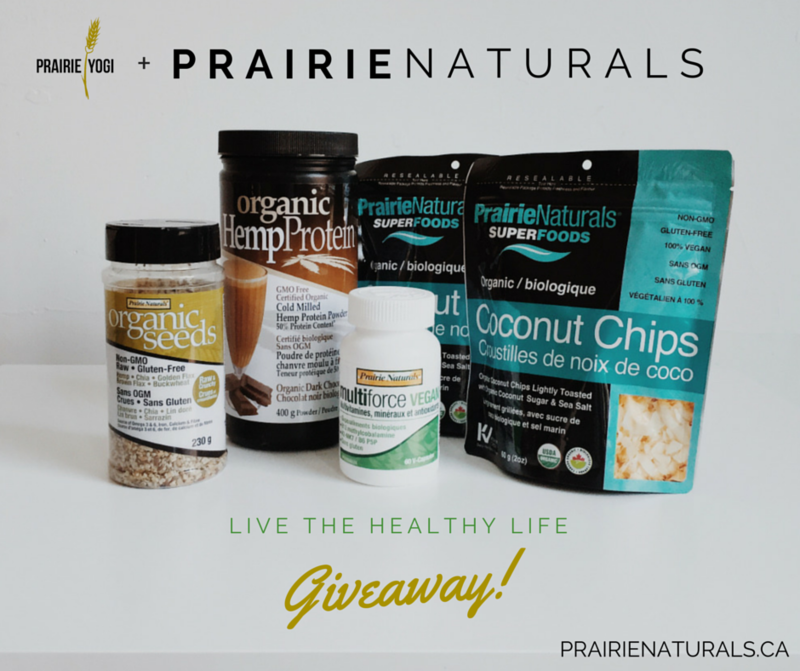 GIVEAWAY - WIN THIS PRAIRIE NATURALS VEGAN PRIZE PACK (Valued at $100!!) See Prairie Yogi Facebook page for more details. Nutritional Insurance for Real Life!